MOSCOW, September 15. /ITAR-TASS/. 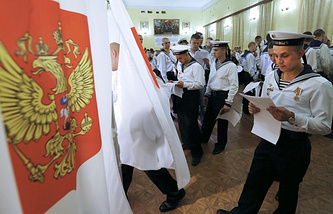 Candidates from the United Russia party have won more than 71% of votes in their support in Crimean constituencies and rose to top positions in all the 25 single-member constituencies in Crimea, Deputy chairman of the Russian Central Election Commission Leonid lvlev said Monday, citing preliminary results of the election after 67% of ballot papers had been counted. The United Russia party, which is in the lead with 71.06% of votes in its support, will have 70 out of 75 seats in the Crimean parliament. The LDPR party has gained 8.17% support in Crimea, while ten more parties which have been contesting seats in the Crimean parliament cannot pass the five-percent election hurdle. 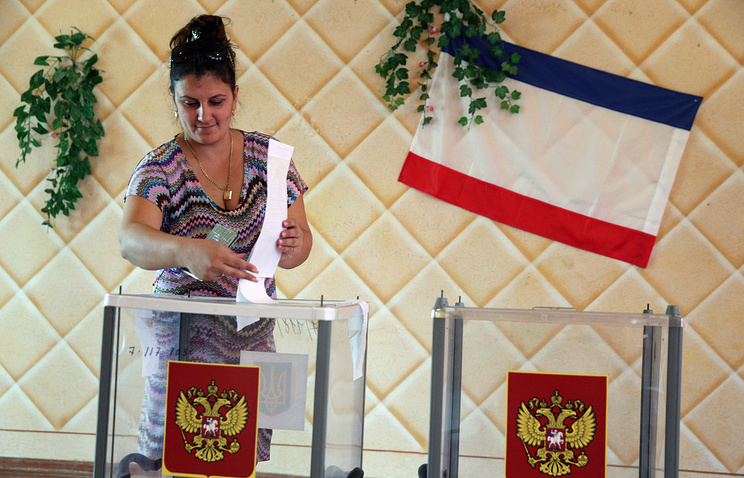 The election to the Crimean parliament was first held under the Russian legislation on September 14. 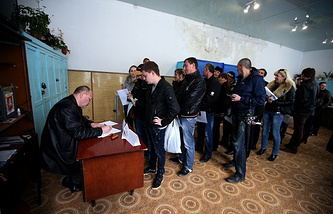 A total of 803 candidates are contesting 75 seats in the Crimean legislature: 108 candidates were nominated from majority constituencies and the rest are running on tickets of 12 political parties. According to preliminary results of the election to the Simferopol City Council, the United Russia is in the lead with 59.1% of votes in its support; LDPR follows behind (17.49%); Communist candidates have reported 6.46% support after 50% of ballot papers were counted. The rest of the contestants are trailing behind, showing support under three percent. After 50% of ballot papers were counted in Simferopol, the United Russia might hope for 32 seats in the Simferopol City Council, said member of the Central Election Commission (CEC) Valery Kryukov, citing data released by the CEC information center. He did not rule out that the final result might seriously differ from the figures available at the moment. The September 14 election to the Crimean parliament was held for the first time under the Russian legislation since Crimea joined Russia.